Resound Hearing Aids At Hearing Choices - Facts, Reviews + Great Deals! 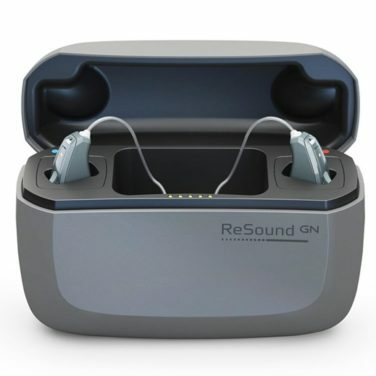 The Resound Linx Quattro is the latest release from GN Resound and is the world’s first Premium Plus category hearing aid with unprecedented sound quality…. ReSound is part of The GN Group and is situated in Ballerup, Denmark. The GN Group has almost 150 years of creating audio solutions which ReSound ties into, allowing this hearing aid company to produce innovative, award-winning hearing devices. Utilising research & development expertise ReSound led the pack in 2014 with the first made-for-iPhone hearing aids. ReSound concentrates on providing the most natural listening experience people with hearing loss and with that ethos in mind, have become an industry leader in hearing aid technology in over 80 countries across the globe. Resound has two key styles of hearing aids – outside the ear and inside the ear. The style you choose will depend on your preference, your hearing loss and what your hearing healthcare professional considers the most appropriate for your hearing needs. Is a smaller BTE style. It has a small device behind the ear with an ultra-thin tube carrying a wire to a soft dome, which holds the hearing aid receiver. This part, as the name suggests, sits in the ear. A custom made hearing aid, where a hearing professional takes an impression of your ear. Being the largest inside the ear style it will accommodate hearing losses up to the severe range. The ITE is easier to handle for those with dexterity issues and can be made in a full or half shell. Hidden completely in the canal, this tiny device is barely visible. Sitting deep in the ear canal it’s virtually invisible. This hearing aid style is only available with ReSound. It’s about the size of a CIC, with the microphone separate from the hearing device and tucked neatly into the folds of your concha. 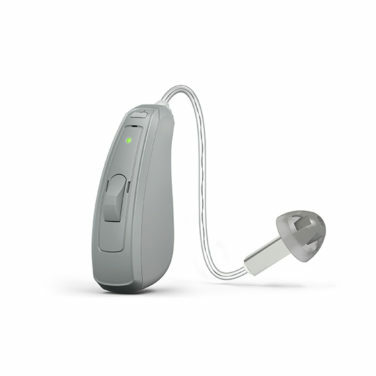 This hearing aid is discreet and offers options to help with feedback and wind noise. The higher the performance level, the more features you will find on the hearing aid and the more programming ability your hearing healthcare professional will have to customise your device to suit your specific needs. Some people have complex hearing requirements. If you fall into that range, higher performance levels will provide more solutions, delivering improved hearing across a wider range of settings. ReSound wants to make life sound better for you and improve communication with your family and friends across all your listening experiences. Discuss your communication needs with your hearing healthcare professional to help determine the performance level that’s right for you. Environmental Classifier enabling clearer speech – will assist in picking up speech from any direction without losing out on sounds in the environment. With this feature, you will be able to follow conversation, no matter what the background noise, ensuring you have a balanced and natural listening experience. Extended bandwidth for fuller sound – gathering sounds from across the frequency range will make everything in your sound environment have a richer quality. Layers of sound, sampled at a rate 50% faster than before, will enable natural hearing, free from distortion. Bluetooth streaming – for almost two-thirds of hearing aid users, ReSound Bluetooth streaming is the preferred technology. Providing fuller, richer sounds, from almost any audio source, use this feature to stream the sound source directly to your hearing aids, including the finer details of music. Binaural Directionality III – will provide focus on all the sounds in a 360° radius, enabling you to pinpoint on the sounds you want, without being cut off from all the others in the environment. Spatial Sense – delivering a clear and natural sense of the sounds around you, this feature enables you to zone in on the sounds you want to hear. Music Mode – the music program feature in ReSound hearing aids is preferred by 95% of listeners. Utilising the extended bandwidth and faster sampling rate, music sounds richer, fuller and more natural. ReSound Smart 3D app – allows you to make adjustments from your phone to control your hearing aids. You can personalise your listening experience in a discreet manner. With features such as battery power check, recall of favourite hearing settings and enabling you to stay in contact with your hearing healthcare professional, this is a slick application for your smartphone. ReSound Assist – keeps you in direct contact with your hearing healthcare professional. This app means you can ask questions and get your hearing aid adjusted remotely, without having to go into the hearing centre. New settings will be sent directly to your hearing aid via the Smart 3D app. ReSound Control app – allows you to control your hearing aid from your phone, like a remote control. If you desire… a brilliant sound experience look no further than the LiNX Quattro. With exceptional sound quality, and layers of crisp clear sound, this premium hearing aid will give you the rich listening experience you’ve been waiting for. It’s available now in the ReSound 7 & 9 performance levels, with a ReSound 5 coming in 2019. Everyone wants to be able to focus on the person speaking – the one we want to listen to in a crowded room. Quattro’s Environmental Classifier and Binaural Directionality III features allow you to do just that, without losing vital clues from the environment. If you desire a more natural listening experience where everything is in perfect balance, this hearing aid will be the one to select. The Music Mode in the Quattro allows the nuances of all the high and low notes to be heard. Music will be as you remember it – full, rich and layered; a symphony in your ears. The beautiful balance you get from the LiNX Quattro, carries over into all Bluetooth streamed sounds because the LiNX Quattro also boasts superior full spectrum Bluetooth streaming for any smartphone – the first of its kind on the market. You can stream from just about any audio source and experience clearer speech and fuller sound – sound that has to be experienced to be believed. Current research shows there is 50% greater speech clarity on the phone with the streaming capabilities in this hearing aid. The ReSound Assist app allows you to be in control of your listening environment as you fine-tune your hearing aids to suit you. 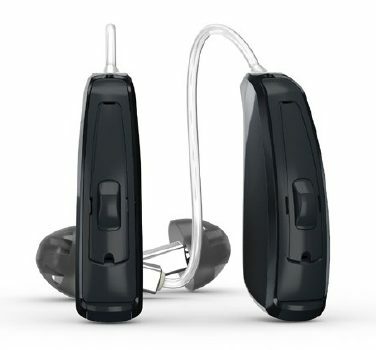 Available in the BTE hearing aids styles, the LiNX Quattro is also offered with a rechargeable option. This rechargeable device is another high quality addition to ReSound technology. It utilises a lithium rechargeable battery that provides thirty hours of battery life (yes thirty!) without streaming and, if you do stream, you will still get a huge twenty-four hours of battery life. And it is a quick charge device, with only three hours of charging to give you the full thirty hour battery life. The charging device itself is a compact case and the smallest on the market. Once charged, the case itself will give you three full charges for both hearing aids. This means you don’t need to plug it in to a socket – you can go off grid for three days with this portable charger. Your hearing aids will slip in and out of the charger easily and once they’re out – they are activated and ready to go. The LiNX Quattro has everything you could desire in a hearing aid. With crisp clear sound in even the most challenging of listening situations, awesome full spectrum streaming to any smartphone and a long lasting rechargeable lithium battery. The LiNX Quattro will give you everything to make life sound better. If you want… to use your hearing aids like wireless headphones, enjoy 360° surround sound and have amazing Bluetooth streaming capabilities the LiNX 3D is for you. You can have this model in any style of hearing aid and it is suitable for most hearing ranges making the LiNX 3D a hearing aid for almost everyone! The LiNX 3D also includes therapeutic tinnitus programming, outstanding music appreciation with Music Mode and is water resistant. Coupled with the Smart 3D app, this hearing aid is such an amazing ‘wearable health device’, it won the 2017 IHS Markit Innovation Award. And if that isn’t proof enough of this hearing aid’s amazing technology, throw in the rechargeable option and it becomes environmentally friendly as well. If power… is what you are after take a look at the ENZO² which is available in three power levels, (Power, High Power & Super Power). In a small packaged BTE this power aid packs a punch and is heralded as the world’s most powerful super power hearing aid. It enables you to stream from your iPhone, iPad or iPod, allowing clear and crisp sound to be fed directly into your ear making your listening life more enjoyable. You can make your own adjustments, through the smartphone app, giving you total control over your environment. The ENZO² will give you rich sound quality, better localisation, and clearer speech through your phone. 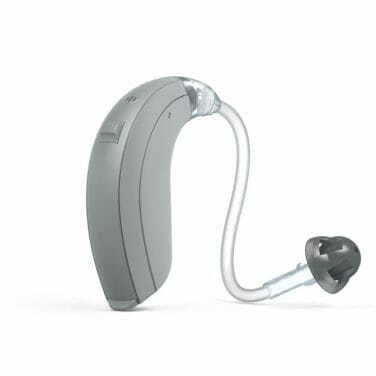 This BTE style hearing aid is available in two sizes, depending on your power requirements. 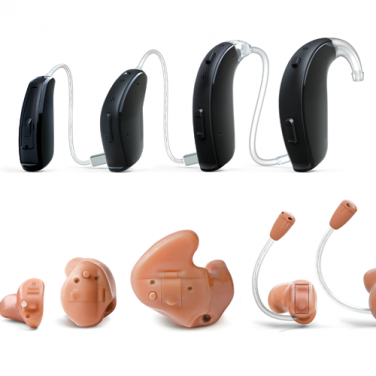 If you need… excellent sound quality with adaptive directionality the Enya hearing aid is an affordable option for mild to severe hearing ranges. Available with the Tinnitus Sound Generator (which utilises the ReSound relief app), and Ear-to-Ear wireless communication this hearing aid will cover the hearing requirements of a less active lifestyle. 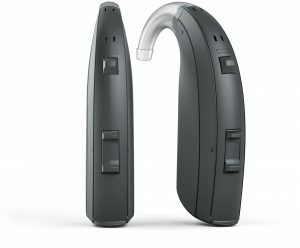 It is available in all styles of hearing aids and is a durable model that allows personal modifications with the ReSound Control App.